The second generation Audi Q3 is based on the Volkswagen Group's modular transverse matrix and has grown in dimensions. Globally the new-gen Audi Q3 will go on sale later this year as a 2019 model. 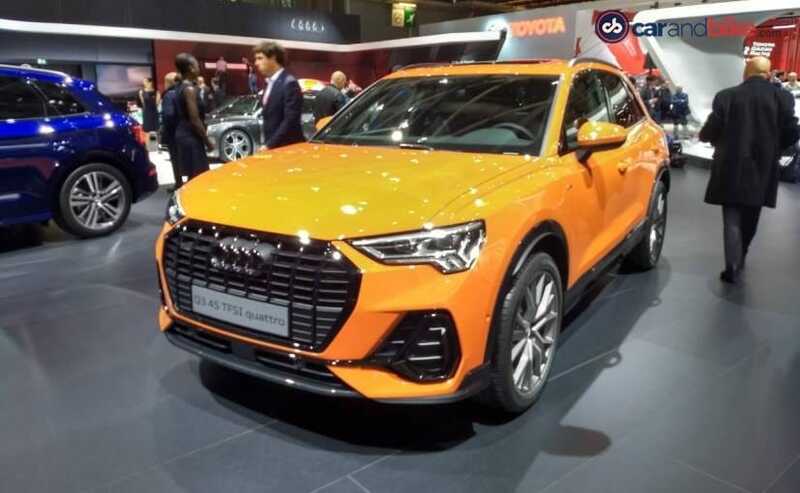 The new-generation Audi Q3 has officially made its public debut at the ongoing Paris Motor Show 2018. Audi pulled the wraps off the second-generation Q3 back in July and now we get to see the car in person. 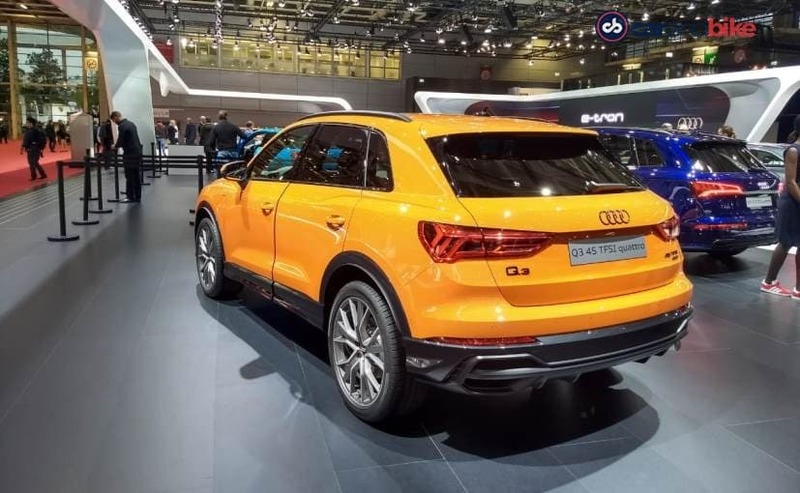 The new Audi Q3 is based on the Volkswagen Group's modular transverse matrix and has grown in dimensions, in order to differentiate itself from the Q2, and a lot sportier compared to its predecessor. 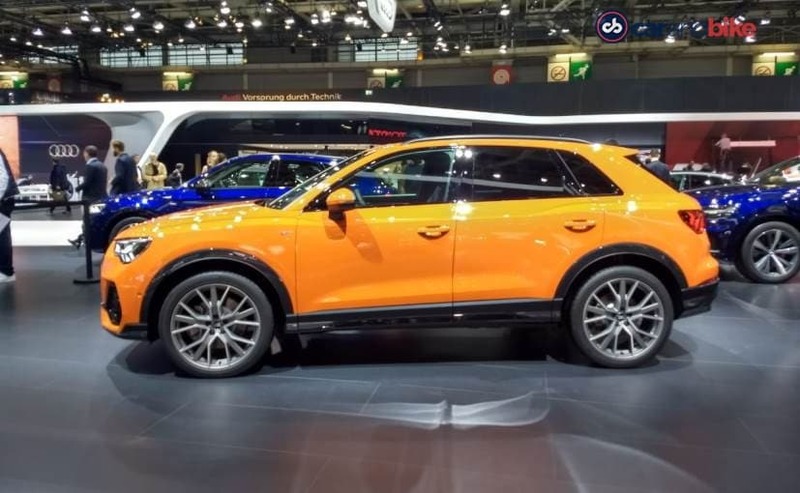 Globally the new-gen Audi Q3 will go on sale later this year as a 2019 model, while India is expected to get the car sometime in the second half of next year. Internationally, the 2019 Audi Q3 will be offered with four different engine options - three petrol engine and one diesel unit in combination with front-wheel or quattro all-wheel-drive (AWD). The power outputs range from 150 bhp 230 bhp and all engines are four-cylinder direct injection units with turbocharging. Transmission duties will be handled by a 6-speed manual transmission or a fast-shifting 7-speed S tronic is used to transmit the power. The one on display here is the top-spec 45 TFSI quattro, which means it is powered by a 2-litre turbocharged petrol engine that offers 230 bhp. 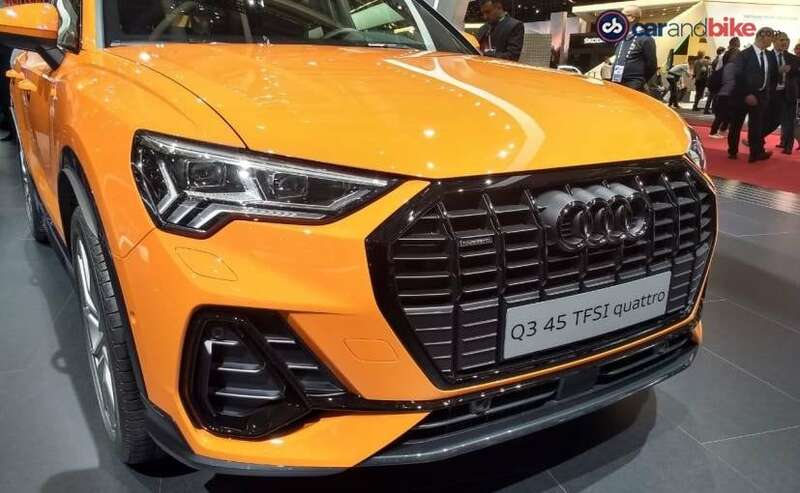 Visually, the new Q3 comes with Audi's signature single-frame octagon grille with chrome elements and chrome surrounds, however the one showcased at the Paris Motor Show gets black treatment instead of chrome. On either end, the SUV now features stylish all-LED headlamps, while the top-end version gets Matrix LED headlights with adaptive high beam. The SUV also features an all-new bumper featuring a sportier design with large side air inlets characterize the masculine front-end. The rear end features a new pair of sleek LED taillamps with a cluster design that mimics the front DRL pattern. On the features front, the new Audi Q3 comes with an 8.8-inch touchscreen display that features Audi smartphone interface links customers' iOS and Android cell phones and places their Apple Car Play or Android Auto environment on the MMI display. It also features a digital cockpit, with minimal buttons and a bunch of different display sizes from the instrument cluster depending on the variants. The SUV also gets two-zone air conditioning, the auxiliary heating, the heated steering wheel and the panoramic glass sunroof. The Q3 also comes with sport seats, which are trimmed optionally with a combination of leather/artificial leather and Alcantara.